The seaside town of Hoylake is located at the mouth of the River Dee Estuary, on the north western corner of the Wirral Peninsula. 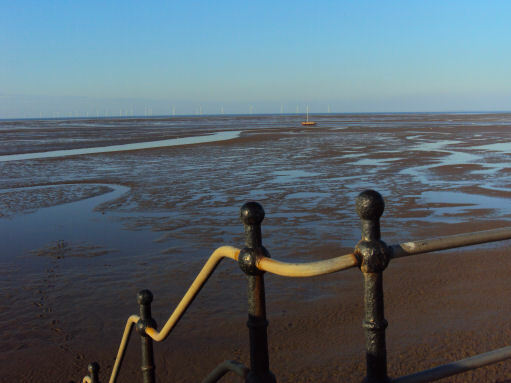 The town we see today formed through the merging of two ancient villages, Little Meols and Hoose. Little Meols was the area near the present Hoylake railway station and Hoose was the present old village area around the Plasterer's Arms. Great Meols was the area now known simply as Meols. 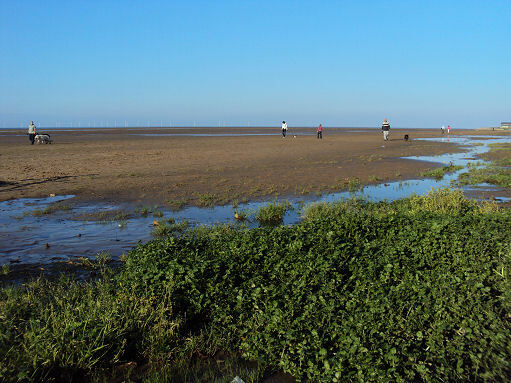 The name Hoylake derives from Hoyle Lake, a channel of water between Hilbre Island and Dove Point, protected by a wide sandbank known as Hoyle Bank. Hoylake is the home of the Royal Liverpool Golf Club, built in 1869, on the site of the Royal Hotel racecourse. It is the second oldest golf links in England. The town supports a permanent lifeboat station, manned by the RNLI. Initially founded in 1803 by the Mersey Docks and Harbour Board, it is one of the oldest in the country and during this time the Hoylake lifeboat crews have saved more than 800 lives. The Hoylake Lifeboat Museum houses an interesting collection. In 1690, King William III set sail to Ireland from Hoylake, to fight the Battle of the Boyne against the Roman Catholic, Stuart King, James II. The location of his departure is still known known as Kings Gap. Leasowe Lighthouse Constructed of hand made brick in 1763 by the Mersey Docks and Harbour Board, Leasowe Lighthouse on the Wirral Peninsula is the oldest brick built lighthouse in the United Kingdom.